Style your best friend in this adorable Aberdeen paw print dog sweater. This dog sweater combines style and functionality in one. A great option to keep you dog warm and looking great. 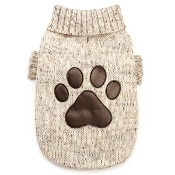 This Aberdeen dog sweater features a large brown faux leather paw print on the back and a wide ribbed turtle neck and trim. This warm, and comfortable sweater has a truly classic look. 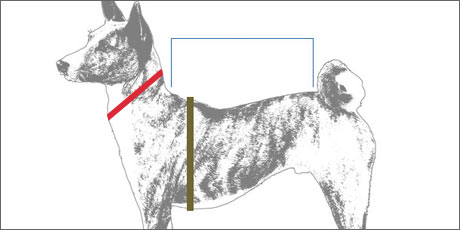 Pati's Paws offers free shipping on all orders over $25.00. Any order less than $25.00 will be charged a flat rate shipping fee of $3.99.